I am convinced filmmaking was in my blood since birth. I was born and raised in North Chicago and have lived in Kenosha, WI the past few years. I am happily married to the best sidekick a man could ask for and am fortunate enough to have grown up with a father that works in the media industry. I started making short films with my friends around 12 years old and haven’t let go of a camera since. 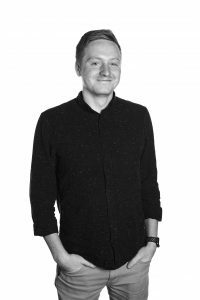 I spent the last seven years working as a cinematographer both in a freelance role and with a number of production companies. My primary background resides as a cinematographer. I’ve enjoyed investigating the technical facets of camera and lighting departments and appreciate the strategy in story-telling as a DP. Currently, I manage and lead a division of Sardis called Sardis Creative (www.sardiscreative.com). We are a production company based in North Chicago capturing stories intended to provoke and stir understanding. We believe human connection is most effectively sparked through the expression of authentic, impactful and inspiring art. ‘Some Days’ is a music video reflecting on the trials of being on tour as a musician. Ira Wolf wrote the song to externalize the frustration she felt while being on tour early on in her career. Playing numerous desperate venues with many inattentive spectators takes a toll on your morale as an artist. In conversations with Ira, I felt it was imperative that viewers understand one key message in the midst of this apparent struggle. That authentic love resolves all emotional trials that an artist faces. Love has a way of shedding light into our darkest moments and bringing about truth in the midst of desperation. I wanted to tell this story without being too cheesy or straight-forward with it. At the same time, I felt I had a clear story I desired to tell. In the end, we ended up with an interesting blend of a non-narrative, abstract and atmospheric cut while still being intentional about the message at hand. 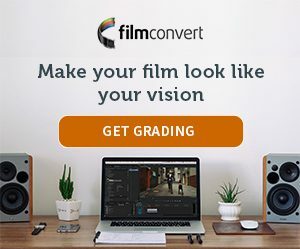 Years ago a co-worker of mine introduced me to FilmConvert. He and I loved exploring various plug-ins for color treatments. We liked doing side-by-side comparisons for various looks we were trying to achieve between different plug-ins. I’ll be honest, I feel like I have no clue what I’m doing when it comes to coloring a film myself (that’s what friends are for). In our comparisons, we were immediately surprised by the quality of FilmConvert. I found we were using the plug-in in some capacity for every project we created. For quick turnarounds, I found I turned to FilmConvert for its ease of use and authentic film quality. I initially planned on sending the project out-of-house for the coloring. As I was assembling the cut I dabbled with a few different looks with FilmConvert. We filmed on the Red Epic-W with Leica Summicron-C glass. At first, I began applying FilmConvert out of curiosity to how it would hold up the quality of the image. Like every other time I’ve used the plug-in, I was impressed. What began as demo looks soon developed into final looks. FilmConvert and I have an interesting relationship like that. Tones and look were very important to me in the message. When Ira is on tour away from her boyfriend, we went with cool tones. For the bar performance, all the lights were gelled with CTB while our camera lived at 3200K. We also fogged the bar to create a separation feeling between Ira on stage and the spectators at the bar. It wasn’t a large venue, so the fog definitely assisted in creating more depth. Then we further enhanced the cold look with FilmConvert in post. When Ira is thinking about her boyfriend or is with her boyfriend, we experimented with warmer tones. Camera sat between 5600K-7000K and we primarily lit those scenes with natural light. Cutting between these two looks and moods ended up becoming my greatest trial. I cut the entire video three times over until I was comfortable with the edit. I typically like to apply color adjustments to each individual clip using FilmConvert. Then in Premiere Pro CC, I apply an adjustment layer on top of my footage and only apply FilmConvert’s grain to that layer. That way if I have any grain adjustments, I can simply adjust that layer to affect my entire video. However, I quickly learned that this video was an exception. Due to numerous filming environments (especially the bar scene), the natural grain that we captured was at times spot on for what I was looking for. So in the end, I applied grain to each individual clip and made grain adjustments according to each scene. All the clips were made RedLogFilm and graded under the profile Red > Dragon > DragonColor – RedLogFilm. There’s no particular reason for this method. Historically, I feel most comfortable with what to expect in the results. 95% of the video utilizes Fuji 8553 Eterna film stock and the rest uses Fuji Velvia 100. The only tweaks I made within FilmConvert were small percentage adjustments between film color, curve, and grain. Besides a few CG shots, there weren’t a whole lot of other effects added. The only other tweaking I can think of was small adjustments to the raw .r3d data. Adjustments mostly to exposure, contrast and color temperature. Thank you for this opportunity and for this wonderful plug-in that makes my job incredibly simple. Cheers!